Shredall and SDS are one of the UK's largest independently owned shredding, document storage and document scanning companies. They provide a complete information-management service, from shredding and recycling to document scanning and storage. Our challenge? To help take Shredall forward from an old legacy OMS website to a robust, secure and flexible Content Management System. The site needed to make the process of requesting a quote simple and accessible for every customer, while also giving a clear distinction between the many service offerings. It also needed to showcase the Shredall profile. 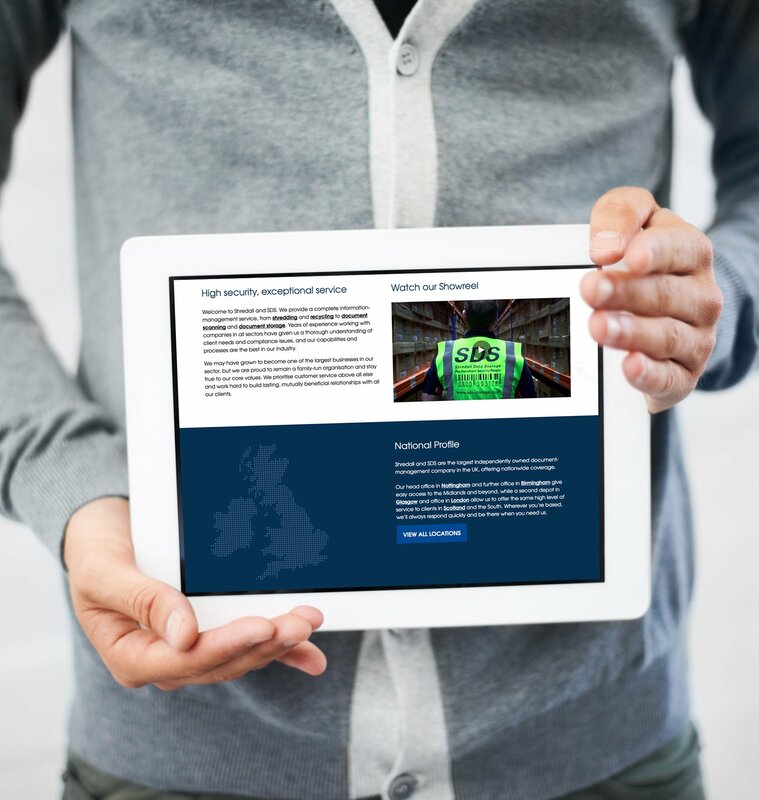 There was also an additional scope of work to design and integrate a number of newsletter templates into the website for use with MailChimp and to create bespoke infographics for each of the business services that could be used for SEO and outreach. First, we presented Shredall with Concrete5 as an option for their new CMS. We recommended the platform over other CMS solutions such as WordPress as it is far more secure and also allows for inline editing on the frontend, meaning the marketing team at Shredall can edit content and imagery on the site without needing to go into the backend. It also allowed for us to create dynamic content types for testimonials, videos, gallery, news, blog, case studies and services. These dynamic content types allow the service pages on the site to automatically pull through relevant testimonials, videos and news. We also integrated newsletter templates designed in-house to Shredall’s new site through MailChimp. Shredall opted for a bespoke homepage too, which meant they were able to fully plan the customer journey.